Enclosures – Using best engineering practices we design and manufacture metal enclosure solutions for housing industrial, electrical & electronic equipment. High Efficiency Miniature Motor Drives – By combining an understanding of the application with our extensive product knowledge base we undertake to provide the optimal solution. Components – We supply a diverse range of high quality interconnect, miniature housings, mechanical, electronic and opto-electronic components. 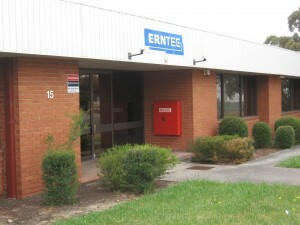 ERNTEC Pty Ltd has developed and implemented a Quality Management System to better satisfy the needs of our customers, the expectation of our stakeholders, comply to any applicable regulatory requirements, and to improve generally the management of the company. The Company, Management and Employees recognize that quality is a company wide responsibility that must be shared by all. ERNTEC has the following Quality Objectives that are reviewed on a regular basis. To achieve and maintain ISO 9001:2008 accreditation. To achieve employee participation and commitment in bringing about continual improvement in all facets of our business.